Sparks Systems uses state-of-the-art metabolic testing to pinpoint inefficiencies in nutrition, exercise and breathing. Our Metabolic Health Coaches and Registered Dieticians address these inefficiencies in each client’s exercise and nutrition plans, thus providing our clients the maximum return on investment. While everyone is capable of becoming more metabolically efficient, the solution is not the same for each individual person. Our advanced metabolic testing provides insight to your unique nutritional and exercise needs to help you achieve optimal health. Because Every BODY is Different. Metabolisms vary from person to person and are the key indicators to why diet or exercise routines are not providing you with desired results. 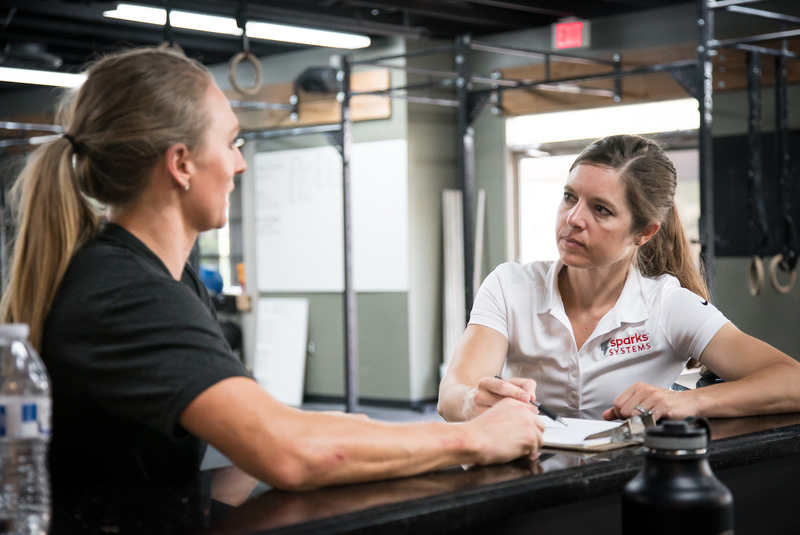 Using metabolic testing, we can determine where inefficiencies occur from a metabolic standpoint so overall health can be addressed through nutrition modifications and adjusting training intensities. The ultimate metabolic testing package. Our Metabolic Efficiency Package will provide all the metabolic data you need to apply personalized nutrition, movement and lifestyle strategies to achieve optimal health. Maximum Volume of Oxygen (VO2 max rate) refers to the maximum amount of oxygen that can be consumed during exercise by working muscles. Sparks Pre-Race and Race Day Nutrition Tests are perfect for any endurance athlete who wants to know exactly how many calories to eat per hour during a race or long training day. Sparks System’s Ultimate Event Prep Testing Protocol is crucial for any training for an endurance event to understand their caloric intake, and thus energy, needs.